The Mornington Peninsula is filled with incredible sights and attractions. However with Melbourne's crazy 4-seasons-in-1day weather, it can make playdates a little difficult to organise. Miss 3 and I took a road trip to Hastings to check out Kidz Shed. After parking the car in the large free car park, sad as it may sound I was actually delighted to see a safety gate. 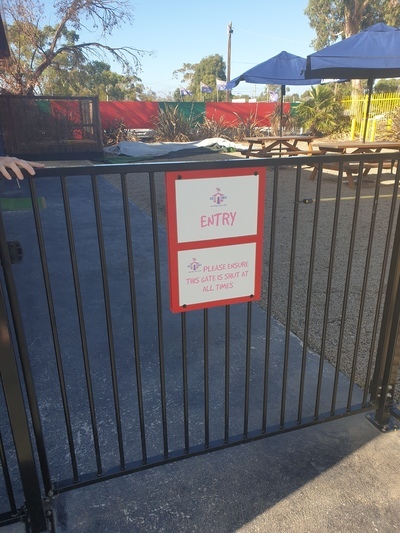 The safety gate was not inside the venue it was in the outdoor play area cutting off the car park. We hadn't even entered and I was already impressed. If you have a climber, this is the place for them. 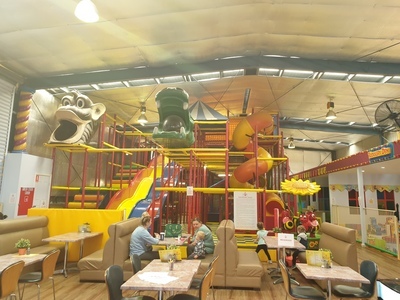 The three story high, brightly coloured soft stair case is the stairway to adventure. The best part though has to be the choice to get back down again - huge slides, either fast or spiral, both huge amounts of fun. On top of that, there are rides, a ball pool and colouring desks. 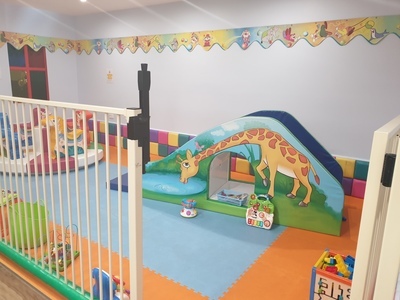 There is a baby section (again which is sectioned off) designed for under 3s. 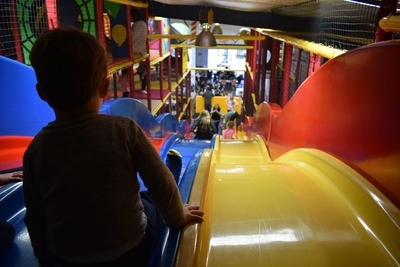 In here you will find slides, an electric merry-go-round and so many toys that younger adventurers explore. 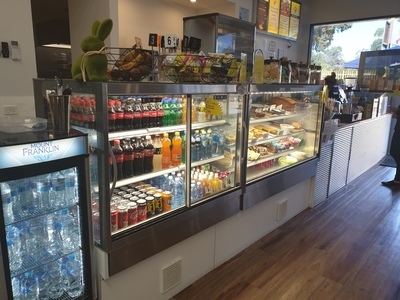 The in-house cafe serves a wide range of drinks, snacks and meals. My personal favourite has to be the wood fired pizza - some of the best pizza I have ever tasted. (Trust me I've tried alot of pizza). Just when I thought that this place couldn't get any better, I was informed that Kidz Shed and its kitchen are both open till 7pm on a Friday night. What a way to start the weekend! We strongly recommended to book a table in advance for Friday night dinner. It is worth mentioning that outside food is not allowed, though with a cafe inside this good you really wouldn't want to miss out anyway. Small Ideas members receive a free entry on their first entry.